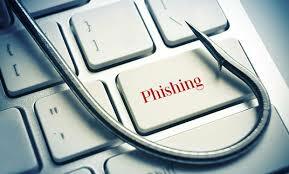 Phishing is still the number one tactic used by malicious actors to collect passwords and other information. Phishing works because the attacker is able to create an email that is believable and looks realistic. The best ones appear to come from a customer, supplier, coworker or other trusted source, and the content makes sense for your business or personal life. The most successful way to prevent phishing from ruining your day is to learn how to spot common phishing approaches. Security company KnowBe4 recently published an article and infographic illustrating the most popular email and social network subject lines that they have seen over the last quarter of 2018. Here is their list, with a few suggestions of my own thrown in for good measure. LinkedIn – Profile views, new endorsements, join my network, add me emails were the most common, and LinkedIn was the most frequently spoofed social network. These are examples of current phishing subjects be send out by the bad guys. Vigilance is the most important skill you can develop, and it is always better to check first and avoid regret later. Call the sender to confirm, or forward suspicious messages to your help desk or computer support department.